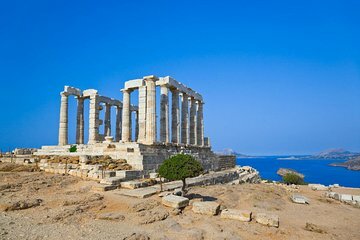 Drive along the picturesque Athens Riviera and walk around the impressive ruins of the Temple of Poseidon on this half-day tour to Cape Sounio. Whether you’re staying in central Athens or disembarking from your cruise ship for the day, take a break from the city/cruise ship crowds on this private tour around Attica. You don’t even need to find a central meeting point: get picked up direct instead, whether it’s from your hotel or from the Port of Piraeus.